Pearl Hardware. Always the best on their class. Solidly built, nicely put together and of seemingly high quality compoenents and finish (only time will tell how the finish stands up to long-term use/abuse). 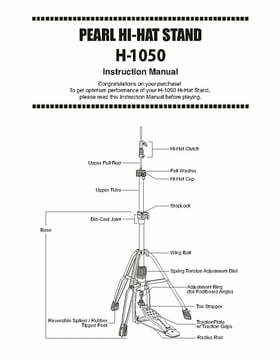 As an owner of the Peral Eliminator Redline pedal, I like that the H-1050 hi-hat pedal is also in the Redline finish - looks good on the kit. Very easy to adjust both the spring tension and the footboard height, if necessary. Being a three-legged stand, stability is excellent and even without spikes engaged I don't get any noticeable creep when used on my drum rug (Meinl). 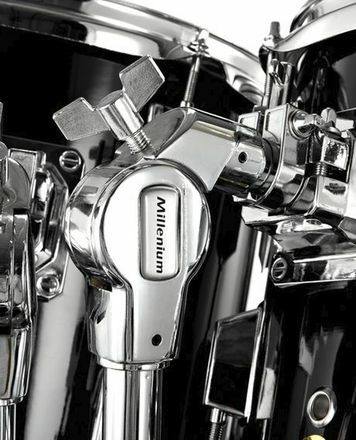 I had originally purchased the H-2050 two-legged version, but didn't like the inherent instability in these designs when energetically stomping eighth notes, nor did I like the cam driven linkage system. 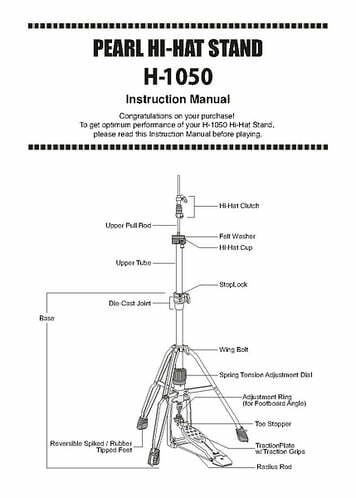 The direct pull linkage of the H-1050 gives a tight closed hat, and plenty of sensitivity for those half-open positions. Overall, very happy with this purchase. ID: 382503 © 1996–2019 Thomann GmbH Thomann loves you, because you rock!